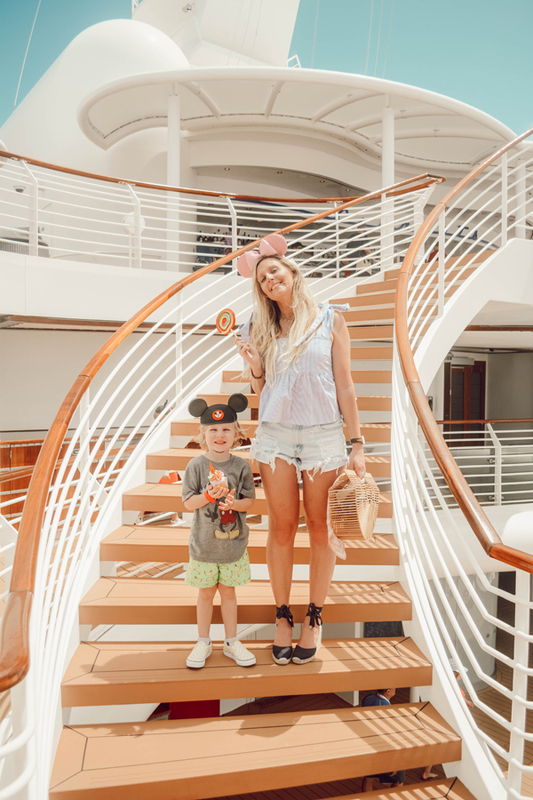 We just got back from our 7-day Disney Cruise and I am so excited to share the experience with you guys! 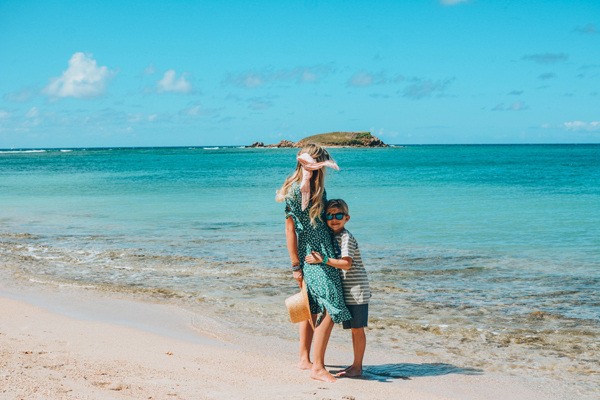 I get so many inquiries on our travel adventures and I hope that sharing this experience will inspire you to try new ways of adventuring with your family! I am so honored to team up with Disney Cruise Line and share about our trip! Having experienced many different types of family travel, I will hands-down tell you, Disney always brings out the best in my family. This Disney Cruise was an exciting and different way to do Disney. You have the amazing hassle-free travel that Disney is known for, but you get the magic in a completely new way! All 3 of the boys finished our last evening on the cruise in "happy" tears for all that they got to experience - they didn't want it to end. We left this trip completely grateful for the reminder that we should embrace those childhood years and enjoy this stage with our kids. There was something for everyone! I truly mean it! There was a newlywed couple just a few doors down from us, on their honeymoon, and we constantly ran into them at different activities and shows we were going to. We would always chat with them for a moment to ask how their Honeymoon was going, and they were loving every moment! It just proves to me that Disney Cruise Lines has done their job and created wonderful experiences for everyone to enjoy. Having 3 boys of various ages gave me a great scale of everything that the cruise had to offer. Being on the ship for a longer period of time helped us all settle in and really make it our home for the week. The ship crew is so great, they learn your names within the first day, and by the end of the week you feel like family. They really do a great job of making you feel special. Plus, who can resist the Mickey Waffles? With Rowan being a shy, it takes him a long time to warm up to new environments. The fact that the ship has so many community spaces (the AquaDuck, Goofy's Sports Deck, Scavenger hunts inside the ship, and more!) makes it such a fun experience for kids, and this had a lot to do with Rowan making a few really close buddies on the trip! In no time at all Rowan was hanging at the basketball courts with his friends. Soon enough, all boys were planning meet ups with their pals in the Oceaneer Club or somewhere else on-board. As a mother, it is so encouraging when you see your child become confident and making friends. Wrennyn even made an older friend in the Oceaneer club and he would go over to their table at dinner to say hi to the family every night. It was the sweetest thing! To be honest, going in to it, we were a little unsure if being around other kids and families would get a bit overwhelming, and we absolutely felt the opposite!!! 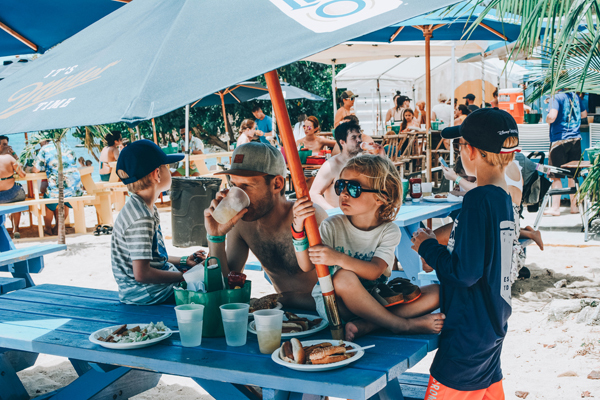 There were so many options and different itineraries to choose from that we quickly discovered it was way more fun when we hung out with other families we came across! I was constantly encouraging the boys to go and hang out with kids. 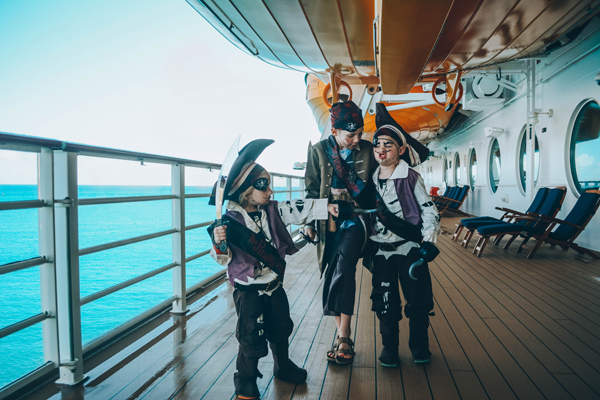 We have done over 5 cruises and this was absolutely our favorite experience, Pirate Night may have helped with that, too! Leaving the ship really felt like when you're a kid and you have to leave camp - you made friends with so many new people and you just don't want the fun to end! With the kids having so much fun, it gave Andy and I some time to sneak away to the Adults-Only areas, and it was so nice. We have only taken 2 kid-free trips in our marriage and they were both work related, so it is clear we love to travel with our children! However, being on a vacation that offers the availability to be with our family, but also have alone time was truly special for us. 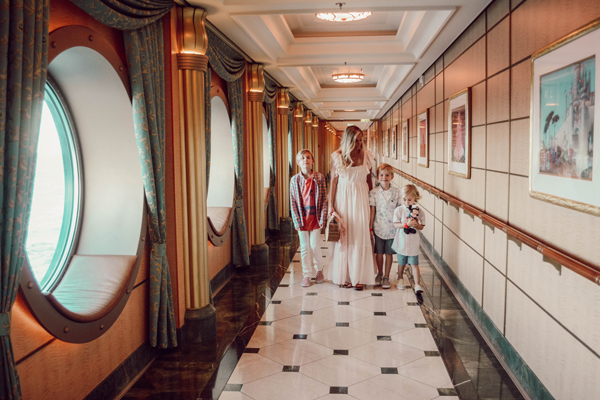 Sneaking away to Palo for dinner, or to the Senses Spa for a massage, or even just to have some chill time on the ship was such a nice change of pace. You would think that not having the kids around we would have gone to the adults-only pool deck, right? Nope! We actually went on the AquaDuck and laid in the family lounge area, even without our kids in tow - the spaces are just so fun! We had 3 ports of call and were lucky to have amazing adventures on each one! 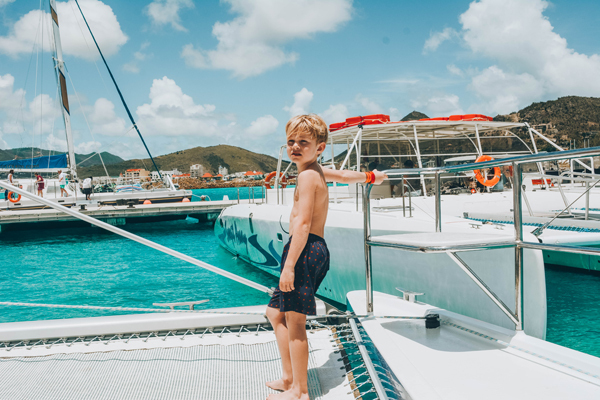 On St. Maarten we experienced a private catamaran that took us to Long Beach which is one of the most quiet, intimate beaches I have ever been to. We had to access it by swimming in from the catamaran, and it was absolutely incredible! The boys and Andy had fun jumping in the ocean off the side of the catamaran. It was one of our favorite beach days ever. Before heading back to the ship we had to stop at my favorite Macaroon stand on the Island right near the port! 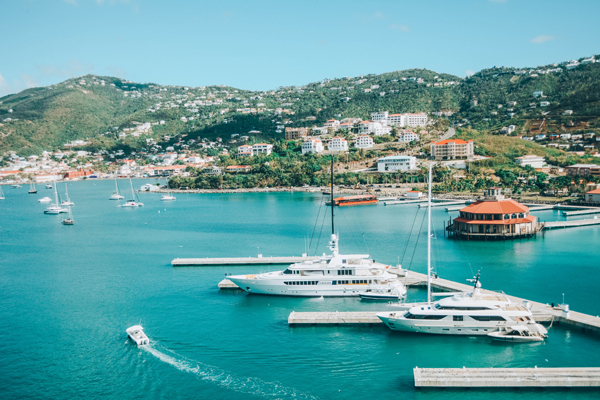 St Thomas has one of the most beautiful ports with a marina view. We have been there before, so we were sure to eat breakfast outside so we could take in the lovely scene as our ship arrived! We went to Abi Beach which is a charming, leafy place! The beach has a fun island vibe with a perfect little bar to top it off! The trees and landscape offer some nice shade, and the beach offers crystalline waters over a protected reef. The boys and made some friends and they all rented body boards and had a blast trying out their new skills on the beautiful shoreline! 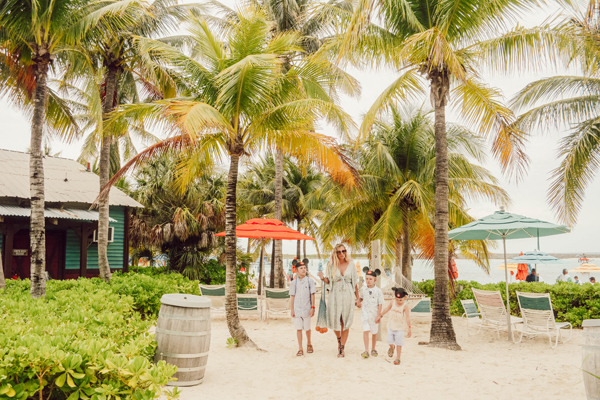 Add Castaway Cay to your bucket list! I love every port we went to, but I am most obsessed with Castaway Cay. Not only is the water the most stunning shades of blue, but this place has an incredible energy to it! The way the island is laid out makes it incredibly easy for families to get around and access the landscape. They have a shuttle system available, but it is just as easy (and beautiful!) to walk the island, too! 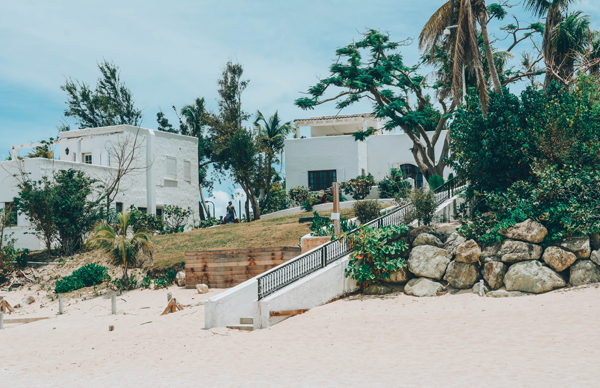 There are lush green tropical trees and plants framing out every view to bring that vibrant beach feel to your photos! It is one of my favorite places to take photos. We personally love heading to the second cove near Pelican Plunge for hanging out. There are plenty of beach chairs, umbrellas, and ice cream to go around! This area gives you access to most of the amenities. There are bikes to rent (with infant seats, too! ), snorkeling and floatation rentals, splash areas, sports areas and pavilion (Rowan and his buddies loved this area! ), water slides and more. 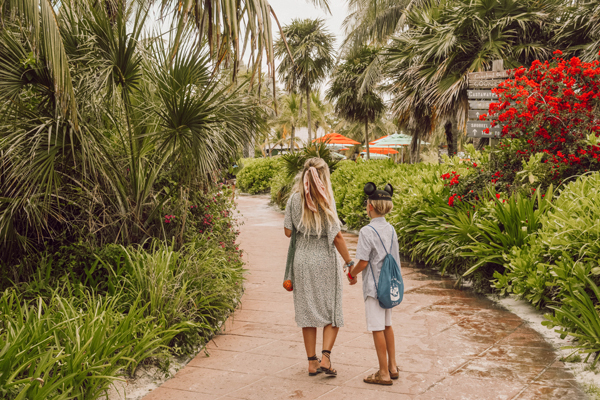 We always love the Castaway Cay bike ride - the island is really flat and smooth so it makes it really easy for families with young children to experience the island in a unique way! Thankfully the ship is so much fun, and has so much to offer, otherwise I don't think we would ever get the boys off this island! We have taken trips from city hopping in California, to road-tripping in South Dakota, to experiencing European cultures . Every travel experience has it's place, and we usually never do the same trip twice. I would do this cruise again in a heartbeat! Our family jokes that we only know how to "travel" and we don't know how to "vacation" - meaning that we often take trips with a packed itinerary and very little down time. We are constantly trying to squeeze the most out of every opportunity and to go new places. This cruise completely changed my mind. It was the absolute best of both worlds. It mixed experiences and opportunity in with relaxation. Relaxing is a very foreign word to me when it comes to travel, and I think this is the first time I honestly enjoyed having slower moments and down time. My husband would say that I have severe Fear of Missing Out. It is true. I live for making the most of a new place and planning our every moment when traveling. Here is the thing, our 7-day itinerary had so many opportunities to experience things. Many of the shows like Aladdin or Wishes had 2+ time slots. So, when you come across a character greeting or experience that you just simply do not want to miss there is a really, really good chance it would be happening again soon! As a well-traveled-family, let me tell you, that does not happen on other vacations we have taken! The fact that I was able to move things around and be flexible has completely changed my perspective on how I want to travel going forward! There were just so many options that we all got to do the things that were important to us. One of our absolute favorite things was trying out the Bibbidi Bobbidi Boutique (at an additional cost). They don't just have Princess or Mermaid makeovers, no way! They have an amazing Pirates League experience where they completely transform the boutique to eery Pirate-esque ensembles. 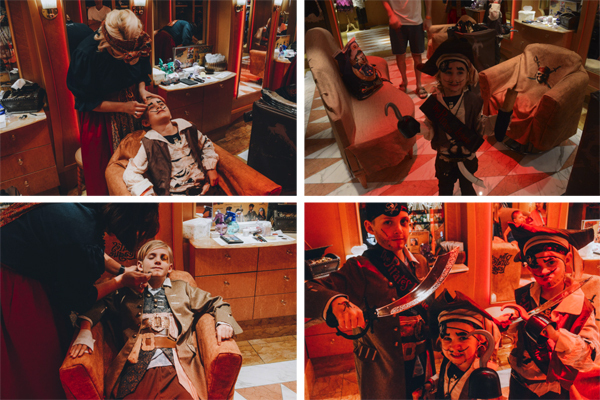 The boys each got to completely transform into scary Pirates. I have never seen the 3 of them act so giddy, it was so much fun! We stayed up late that night and partied away, complete with a flossing pirate, glow sticks, Captain Jack Sparrow, and a firework show! In our home the boys don't often get in to the planning of things, but on this trip everyone was involved when deciding what we were going to experience each day. To me that meant a lot. It was really magical to see them light up with excitement when discussing the options and casting their votes. As soon as we got home Andy and I both agreed that we would love to do that trip again! 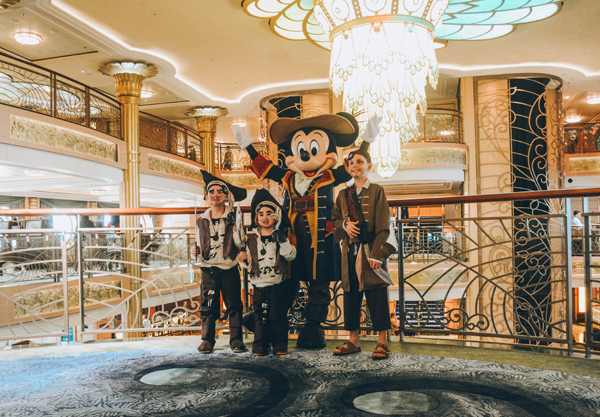 It seriously felt like 3 trips in one, we got the experience of the cruise, amazing tropical destinations, and of course the unparalleled magic of Disney! With all this magic, I can only imagine what would come with the experience of Star Wars Day at Sea - I am adding that to my dream list!! BRB. Looking up travel dates! I hope this gave you some inspiration on how to travel different. Our time with our children goes so quickly. Traveling leaves an important impact on how they see and view the world. There is no replacing these moments and memories. I have loved learning about how Disney has some more unique offerings than just their parks, and the Disney Cruise experience blew our expectations away! Please feel free to reach out to me for any information on learning more about their cruise experience! Never been on a cruise as I didn’t think I would like being trapped on a ship- this looks amazing Shaynah, I might need to book quick based on this I’m sure they are filling up wiick- awesome photos and descriptions make this look like something anyone should enjoy! 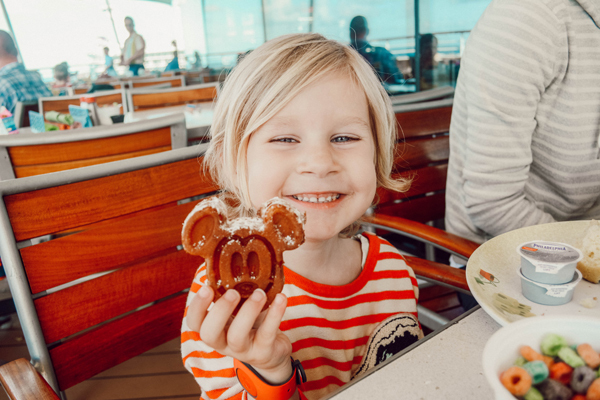 Thanks for sharing your experience on Disney Cruise! Thank you so much, Krista, for following along. I truly hope you consider it with your family. It was such an amazing trip to have our boys experience, your family would have an amazing time. You should look in to it - it really doesn't feel like you're trapped. It feels so much like a city on the water. You would absolutely love it! this trip was so much fun to follow!!!!! !